This is one of my favorite meals. Probably because my kids eat it up, they love it. It’s a great source of protein, which my son Jason hates. So, since, I would rather have him eat shrimp and bacon (who doesn’t love bacon). I make this usually on the weekends, as we can eat it on the go. 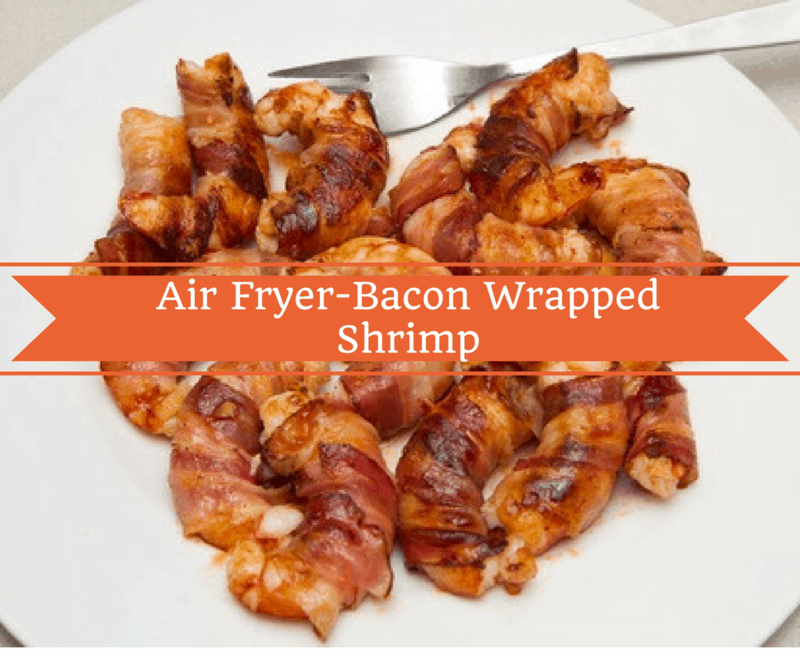 Wrap every shrimp in bacon. 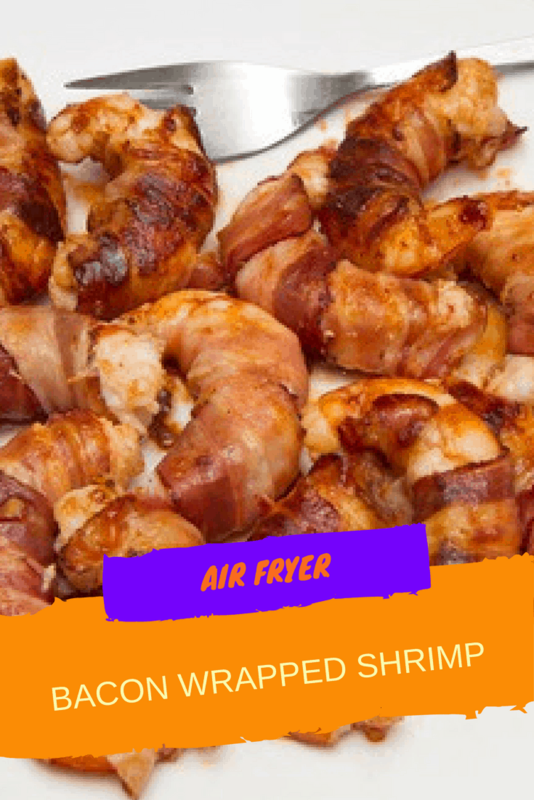 Then place the prepared shrimp, wrapped in bacon, in the refrigerator for about 30 minutes. After the time, place them in the fryer basket for about 5 minutes. Then, flip them over and bake for another 2 minutes.